HAARLEM, The Netherlands - In a full Pim Mulierstadion was the public witnessed a pitchers duel, in which the Japanese pitcher Tanaka there as the strongest came out. 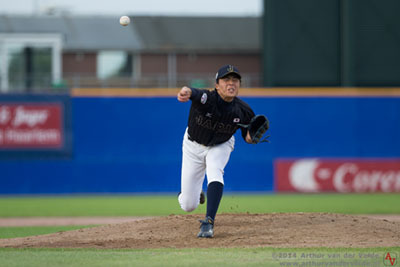 HAARLEM, The Netherlands - The USA Baseball Collegiate National Team fired its second straight shutout and seventh of the summer as it defeated Chinese Taipei, 4-0, at Honkbal Week on Monday afternoon at Pim Mulier Stadium. "We are pitching extremely well, playing good defense and the ball isn't carrying much out here so the way we are approaching the game has to be a little bit different," Team USA manager Dave Van Horn (Arkansas) said. "We feel like we need to manufacture runs and that is we were able to do for the most part today. We did make a few mistakes on the bases and that probably cost us a couple of runs, but all in all, we played pretty well. 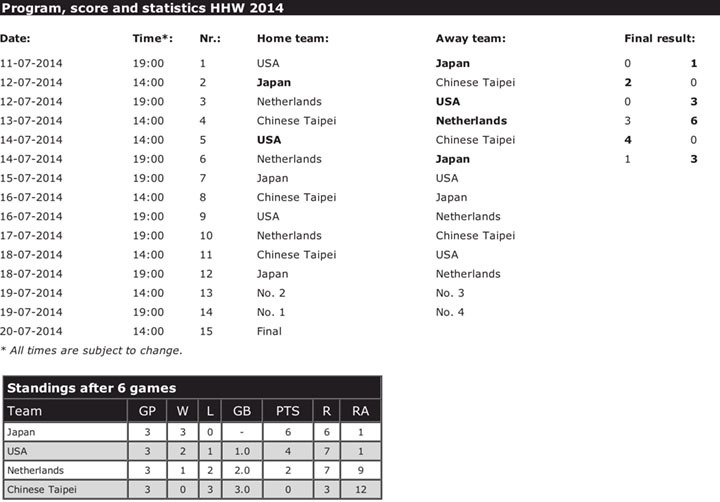 The Collegiate National Team will begin the second half of the double round-robin portion of the Haarlem-Honkbal Week tournament on Tuesday against Japan. First pitch is set for 7 p.m. local time (1 p.m. ET) at Pim Mulier Stadium with Cal State Fullerton right-hander Justin Garza set to get the start on the mound for Team USA.